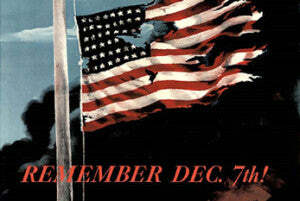 Today is the 74th anniversary of the surprise attack that occurred on Pearl Harbor back in 1941. A very tragic day, we remember it to honor the 2,403 victims who were killed that day. Carried out by Japanese bombers, the attack on Pearl Harbor was the first battle of World War II, which thrust the United States into involvement. The main naval base that held the majority of the US warships, Pearl Harbor was targeted in order for the Japanese to attain rule over the Pacific. Since their only competition was the US Navy, it made Pearl Harbor an obvious mark. The Japanese intended on destroying the US Navy, giving themselves the freedom they would need in becoming a superpower alongside Germany. However, though much damage was done at Pearl Harbor, the US Navy was not destroyed and no air craft carriers were there at the time of the attack. Named The Greatest Generation, much praise has always been sung for the citizens and soldiers who lived in the time of World War II. 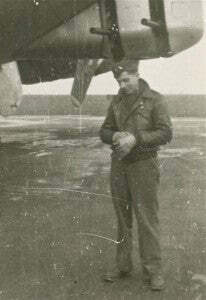 My grandfather fought in the service as a Navigator as well as Bombardier. With his recent passing a couple months ago, my family’s hearts are still heavy with the loss. Having lived a long, full life, Joseph Stauber was wed to the love of his life after the war, Claire Heintz. He built his own house where, together, they raised five children who all eventually went on to marry and start their own families. One of them—my mother—ended up marrying the boy next door and raising a family in that house; so it came to be that I grew up living next-door to my grandfather and we developed a close connection. As we move into the holiday season to celebrate our beliefs and traditions, let us all acknowledge our appreciation of those who protected our country in order for us to keep alive our religious and celebratory freedoms. Keep these freedoms in mind today in remembrance of Pearl Harbor and, as always, thanks for reading.